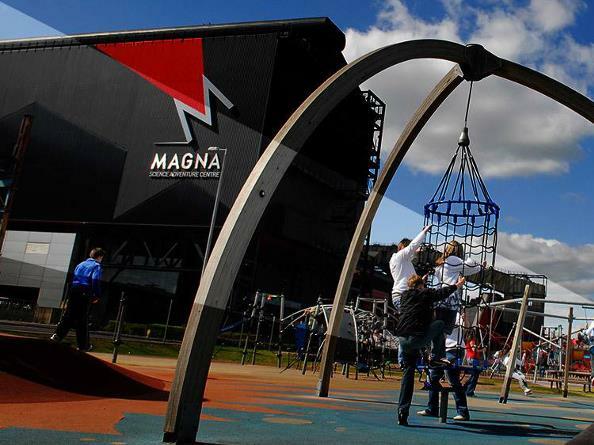 Magna, the UK's 1st science adventure centre is set in the Templeborough steelworks in Rotherham. Set in this cavernous space are 4 pavilions where you can explore the elements, earth, air, fire and water. Here you can have fun firing a giant water canon, launch rockets, board an airship and spin in a gyroscopic chair. You can't avoid the fun, see lightning bolts, fiery tornadoes, explode rock faces and work real JCBs! 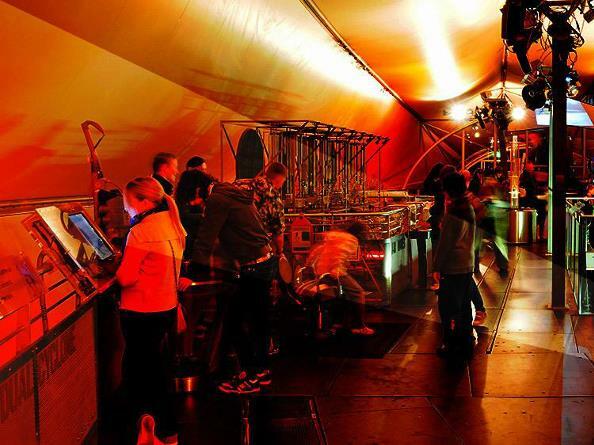 The original steelworks truly provides a dramatic backdrop for the ultimate interactive experience. The Big Melt is undoubtedly one of Magna's most breathtaking features. Heard and seen from almost every part of the building, the show is set around 'E' furnace one of the original electric arc furnaces, unused since the days of Sheffield's booming steel industry. The show runs for 12 minutes, at regular intervals during the day. Winner of outstanding customer service at the White Rose Awards 2008. Winner of exceptional customer service at the hospitality Sheffield awards 2008. Large Venue of the year Business Insider awards 2008. Magna is open daily 10.00am - 5.00pm (4.00pm October - February) From 3rd Nov to 5th Feb Open Friday to Sunday only (closed Mon – Thurs) except for school visits. Follow the brown tourism signs. Get a taxi or no 69 bus from Sheffield/Rotherham. A1 Bus service from Meadowhall. Accessible by Public Transport: Rotherham station is 0 miles away. Please visit the Magna Science Adventure Centre website for all details of tickets and prices.